← Your holiday *SPARKLE* list! I decided to make my own cards this year. When I have the time, it’s a great personalized way to say “I love you”. 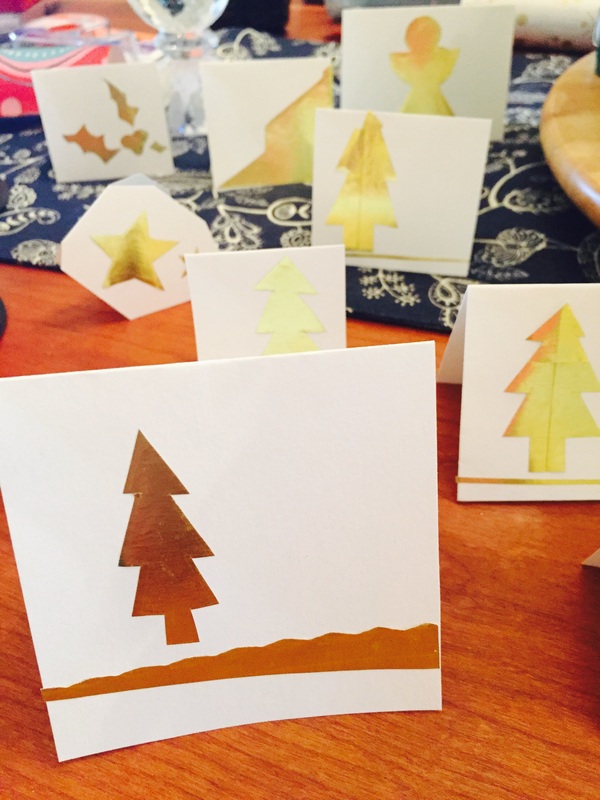 Armed with scissors, gold foil wrapping paper, glue, art paper, and the creative urge, I got to work. I drew a shape on the blank side of the foil, cut it out, and glued it on a card I cut out of art paper. (You can also buy blank cards and envelopes at an art store.) 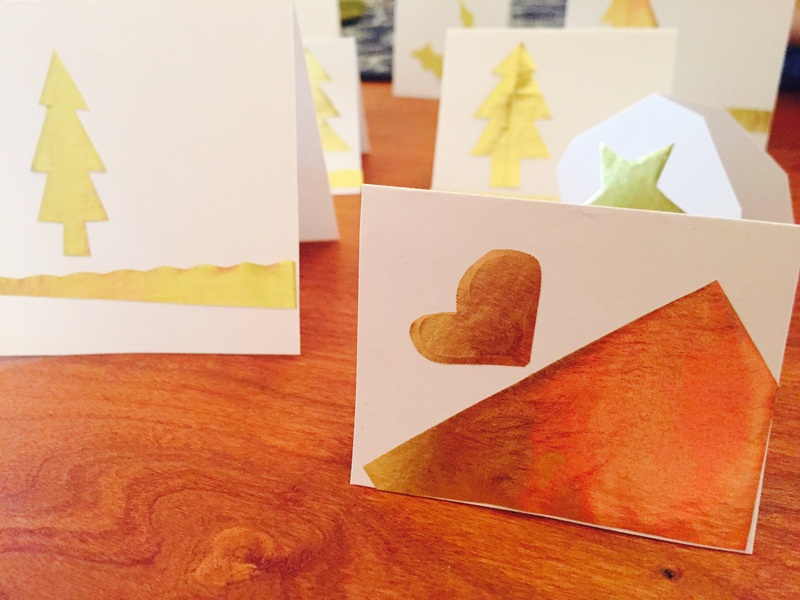 I opted for small cards but you can make whatever size you like. 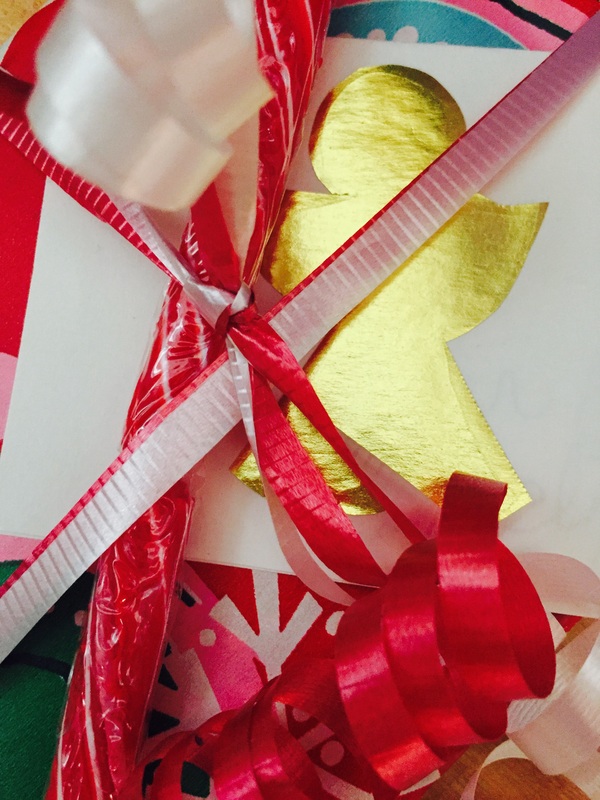 I chose the shape of trees, gifts, stars, mistletoe, and angels. I also made my own envelopes. I added candy canes and ribbon to all my gifts this year. I love the bit of glamour these cards add. Happy Holidays friends. Thank you for reading this year and for all your feedback. Keep it coming! See you in 2016 ! It’s going to be a good year, you just wait.